We have carved a niche as Manufacturer, Exporter and Supplier of Phosphoric Acid from Kingdom of Saudi Arabia. 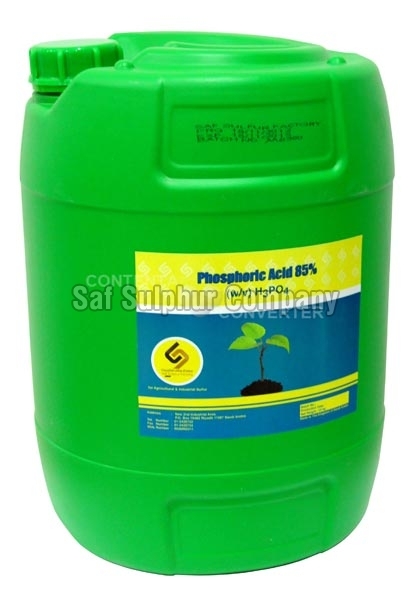 Our wide array of Phosphoric Acid is available in ample of grades that encircle 75%, 70%, 80%, 85% W/v. The well-formulated Phosphoric Acid that we deal in is widely used by Pharmaceutical companies and for agricultural purpose. One can obtain Phosphoric Acid from us in small as well as bulk quantities and that too at discounted prices.